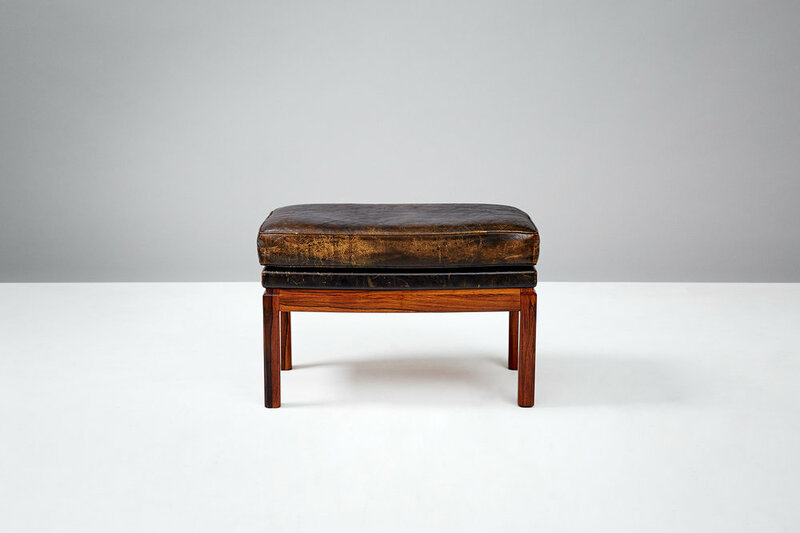 Patinated leather ottoman on curved Brazilian rosewood frame. 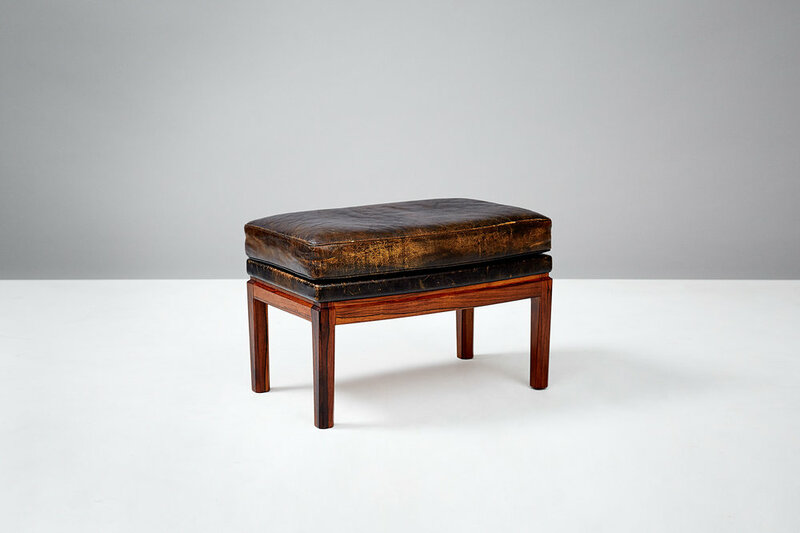 Produced by master Danish cabinetmaker Peder Pedersen. Model first presented at The Copenhagen Cabinetmakers' Guild Exhibition at Designmuseum Danmark, 1953. Literature: Grete Jalk (ed. ): "40 Years of Danish Furniture Design", Vol. 3, pp. 250-251, 296-297.